Honda has revealed the 2019 Pilot and 2019 HR-V, adding more tech and more active safety systems to one of its largest, and one of its smallest, cars. The model year 2019 refresh means that the automaker now offers Honda Sensing, its suite of driver-assistance and safety technology, either as standard or as an option across its entire range. 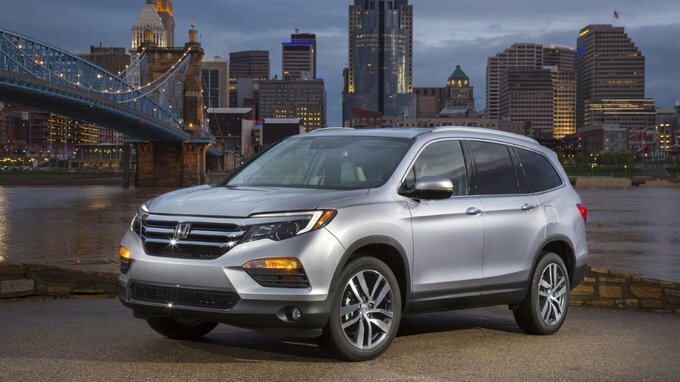 In the case of the 2019 Honda Pilot, the eight-passenger SUV gets new exterior styling to make it a little more aggressive. Honda Sensing – which includes adaptive cruise control, lane keeping assistance, road departure mitigation, collision mitigation braking, lane departure warnings, and forward collision warnings – is now standard across all Pilot trims. 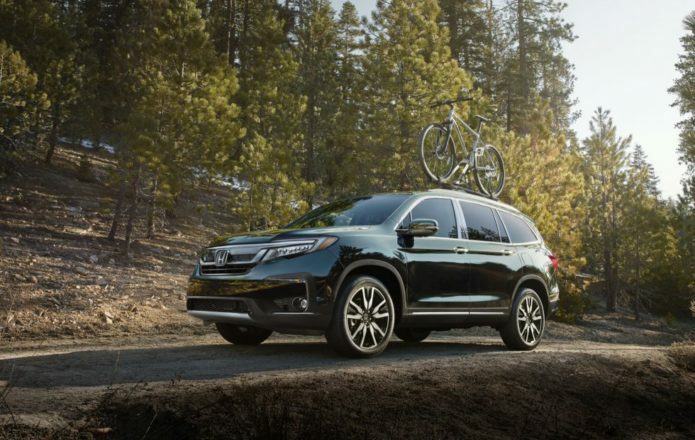 There’s also the option of a hands-free power tailgate, while Honda says the 9-speed automatic transmission available in the Pilot Touring and Elite trims is now more refined. 4G LTE with WiFi hotspot sport is available, and there are larger displays for the rear entertainment system with Blu-Ray and streaming video support. A new Display Audio infotainment system is available, with Apple CarPlay, Android Auto, and – perhaps most excitingly – a physical volume knob. Honda’s CabinTalk system, which is effectively an in-car PA to amplify the voices of those in the front so that even kids in the third row will be able to hear it, is being offered on the 2019 Pilot now, too, having been a hit on the Odyssey minivan. The CabinControl app, another Odyssey feature, is also being carried over to the 2019 Pilot. That allows those in the rear seats to adjust the audio, climate control, and rear entertainment. As for the 2019 Honda HR-V, the diminutive crossover is getting two new trims: Sport and Touring. Styling across the line-up is being tweaked, and the CVT is said to be more refined. Models with the all-wheel drive option promise to be smoother, too. There’s also more sound deadening for a quieter cabin, and variable-ratio electric power steering. Honda Sensing will be standard on EX trims and above, while the Display Audio infotainment system with CarPlay and Android Auto will also be available. Honda says that the 2019 Pilot will go on sale July 16, while the 2019 HR-V will follow shortly after, on July 24. Pricing, along with full specifications, will be released closer to those dates.